The Supreme Court today issued notice to Centre on a public interest litigation which sought immediate directions to double the number of judges in the country as recommended by the Law Commission in its 245th report in view of the growing pendency which has now touched an alarming 3.3 crore in the country. 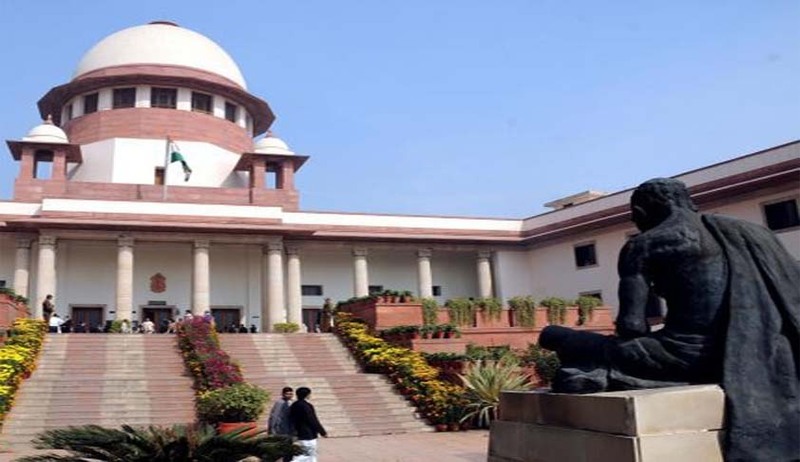 .A three judge bench headed by Chief Justice T S Thakur also sought Judicial Reforms on a massive scaleas recommended by the Law Commission in its various reports since 1986. The petitioner, a Supreme Court lawyer Ashwini Upadhyay said in his plea: “The Union Government and State Governments had agreed to double the number of judges in Chief Justices and Chief Ministers Conference 2013”, it said. “Judicial Reform is not only necessary to secure fundamental right of fair trial and speedy justice to every citizen under the Article 21 of the Constitution but also essential to control the prevailing Corruption, Crime, Casteism and Communalism”. It is to be noted that a fortnight after his impassioned appeal to Prime Minister Narendra Modi over shortage of judges, Chief Justice of India T S Thakur had on May 9 said courts in the country now require more than 70,000 judges to clear the pending cases. “While we (judiciary) remain keen to ensure that judges’ appointments are made quickly, the machinery involved with the appointment of judges continues to grind very slowly. The confidence of people on the judiciary has, over the years, multiplied. Over three crore cases are pending in various courts across the country ,” said CJI Thakur while speaking on the opening day of the centennial celebration of the Odisha High Court at Cuttack. Law Commission submitted its 245th Report to the Union Government on 07-07-2014 on the topic of ‘Arrears and Backlog: Creating Additional Judicial Manpower’ and recommended to double the number of judges necessary to ensure fair trial and speedy justice to the citizens. Issue such other writ, order or directions as may be necessary to secure the fundamental right of fair trial and speedy justice and allow cost to the petitioner.